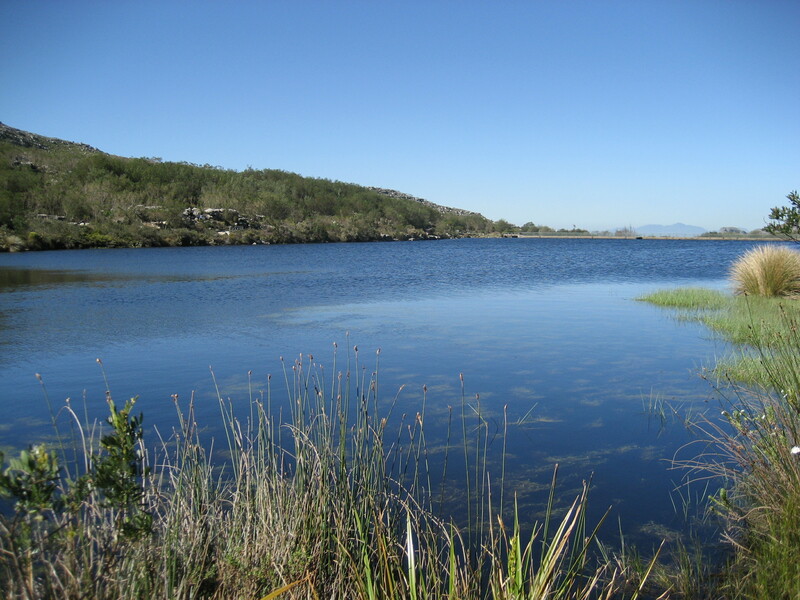 The start of this easy ramble is close to the main entrance of the Silvermine section of Table Mountain National Park. At the top of Ou Kaapseweg (Old Cape Road) on the right hand side, travelling from Cape Town towards Fish Hoek and Noordhoek, turn left just after the pay point. Park in the open parking area. If you don’t want to do the return walk you will need to shuttle vehicles so that you have a car parked near the dam at the end of the walk. Head down towards the river and you will soon see the signs marking the start. The route is approximately three kilometers in total, broken into two sections. The first two kilometers, from the gate to the dam follow the course of the river. This is a perennial stream which flows very strongly after the winter rains. The path is good, with a small amount of rough path in two or three places. There are board walks over some of the wetter areas. Some of the walk is in open area, other parts of the walk are under a canopy of Keurboom trees that have established themselves as pioneer plants in the wake of the fire of 2000. There is a beautiful small waterfall close to the end of this section, before the path crosses the cycle track close to the dam. Turn left at on the road below the dam wall to get on to the second section or right to go to the picnic areas and car park. The second section of approximately one kilometer, is a circular route around the dam. This section is almost entirely on boardwalk and is wheelchair friendly, provided the wheel chair can be pushed (i.e. it may be difficult for people in wheelchairs to propel themselves in some places). The dam was built between 1918 & 1920 and is only dam in the mountain chain where people are allowed to swim – so it is worth taking a costume with you. The vegetation changes slightly here with more reeds, restios and grasses, but also ericas and proteas. Follow the path around the end of the dam and back along the boardwalk, past a number of built picnic sites. Fires are allowed here during winter but not in the summer ‘fire season’. Shade trees have been planted and encouraged around the picnic areas.